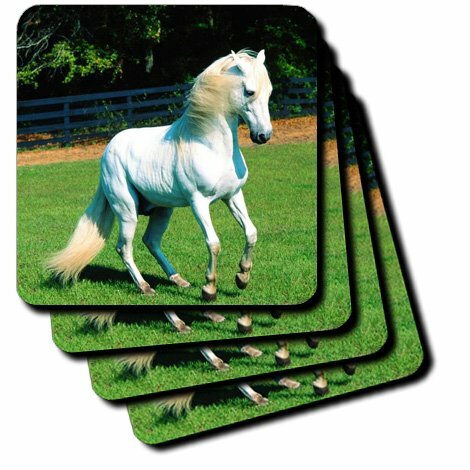 Photo of beautiful Arabian white horse coaster is a great complement to any home decor. Soft coasters are 3.5" X 3.5", Are absorbent, and can be washed. Ceramic coasters are 4.25" X 4.25", Non absorbent and come with felt corner pads. Available in sets of 4 and 8.
iPrint BBQ Apron,Geometric,Floral Style Trellis Pattern Arabian Cultural Inspiration Curvy Motifs Decorative,Charcoal Grey White, Apron.29.5"x26.3"
iPrint Cooking Apron,Lantern,Sacred Religious Celebration with Hanging Fanoos Arabian Festivities Theme Print,Multicolor,3D Print Apron.29.5"x26.3"
Cooking Apron,Lantern,Candles in Night Sketch in with Dots Arabian Motifs Decorative,Dark Purple Multicolor,3D Print Apron.29.5"x26.3"
iPrint Cooking Apron,Horses,Arabian Horse Breed Running Out of The Desert Storm Sand High Tail Creature Nature,Cream White,3D Print Apron.29.5"x26.3"
iPrint Kitchen Apron,Hamsa,Arabian Art in Black and White Eastern Icon Crescent Moon and Star All Seeing Eye Decorative,Black White,Fashion Apron.29.5"x26.3"
iPrint Custom Apron,Hamsa,Eastern Culture Belief Turkish Spiritual Symbol in Retro Arabian Style,Blue Light Blue Purple,Home Apron.29.5"x26.3"
iPrint BBQ Apron,Cityscape,Dubai at Night Cityscape with Tall Skyscrapers Panorama Picture Arabian Peninsula,Pink Gold, Apron.29.5"x26.3"
iPrint Personality Apron,Arabian Decor,Nostalgic Moroccan Architecture with Stone Carving and Motifs Majestic Ottoman Empire Artsy,Multi,Picture Printed Apron.29.5"x26.3"